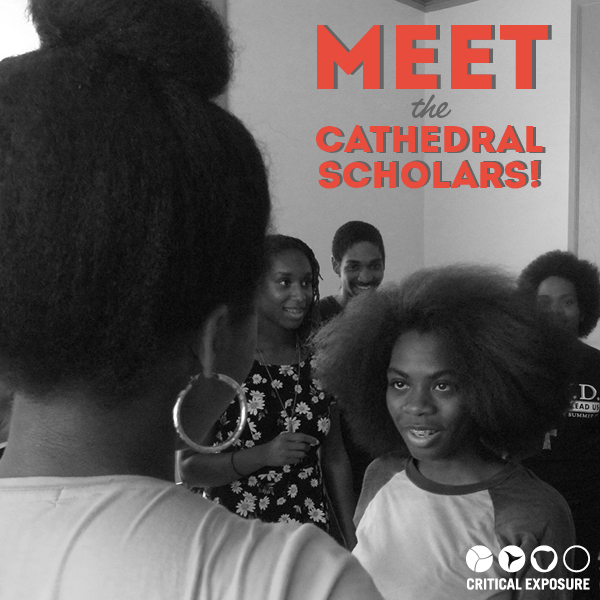 For a second consecutive summer, Critical Exposure is partnering with Cathedral Scholars, a summer program run by Washington National Cathedral that selects 15 honor-roll students from D.C. high schools and offers them a rigorous college preparatory program. Scholars will be using photography and political education discussions to explore the ways their personal identity connects them to their communities. Ultimately, they will learn how to create social change through advocacy and community organizing. Delonte W. and Nadia U-R., both Fellow alumni, are co-facilitating this program as part of our second Summer Youth Facilitation Institute.